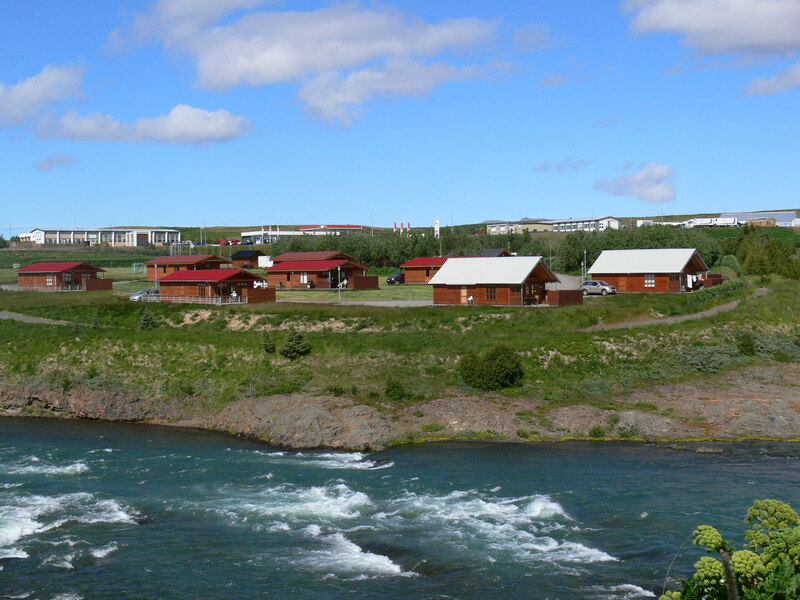 Glaðheimar Cottages and Campsite are on the northern shores of the River Blanda in the town of Blönduós in the north of Iceland. This moderately priced accommodation stands quite close to Route 1 which circumnavigates the entire country. Glaðheimar is therefore a very convenient place to stay for those travelling around Iceland, as well as those who might wish to spend a week in the area. Blönduós has only 900 inhabitants. However, it is blessed with a wide range of services and leisure opportunities. There‘s a swimming pool, a 9-hole golf course, cafés and restaurants and a grocery store. Museums include the Atlantic Salmon Museum, Sea Ice Exhibition Centre and the Icelandic Textile Centre. Glaðheimar is an ideal place from which to explore. “Blönduós has enough things to do for visitors for a day. For those who choose to stay with us for a few days there are at least four distinctive day drives,” says Lárus. Just ask him or one of his staff when you’re here!